Agisoft Photoscan is a photogrammetry solution used extensively within the building industry for 3D model generation from existing sites, building interiors, and exteriors. With Paperspace's powerful GPU's and Photoscan's GPU Accelerated workflow, processing of large image datasets can happen in hours not days. This walkthrough will cover installation and license transfer. After you've logged into Paperspace, create a new machine. Select Monthly or Hourly depending on how you would like to use Photoscan. However, photogrammetry workflows are likely more cost effective on an hourly basis. Photogrammetry (High Performance): In order to take advantage of GPU acceleration with Photoscan, a Dedicated GPU machine (GPU+, P5000, and P6000) is required. The GPU+ is ideal for smaller objects or image sets and the P5000 and P6000 are designed for maximum performance, i.e large image datasets. Choose your storage — you can increase your storage at any time in the future but we highly suggest 1TB and above for managing large datasets. Step 4 - Photoscan is now ready for processing! Photoscan offers sample data you can use to get started. You can download it here. If you already own a license of Photoscan and wish to transfer it to Paperspace your Node-locked license (Stand-Alone or Educational) can be moved from your local computer to Paperspace via Photoscan's deactivation/activation procedure. Help Menu -> Activate product command -> Deactivate button. 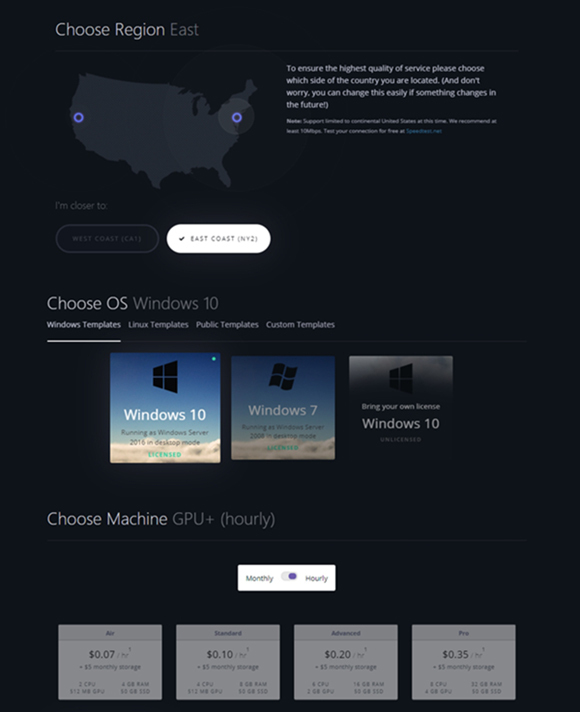 The same license is valid for Windows, or Linux. Note: Uninstallation of Agisoft PhotoScan does not deactivate the license automatically. If you have uninstalled the software before deactivating it, re-install Agisoft PhotoScan and run deactivation procedure, as described above. In just a few minutes, we were able to get up and running with Photoscan. Photogrammetry is an important workflow across various industries and we're excited to provide a simple interface into powerful infrastructure that can unlock these workflows for more people. 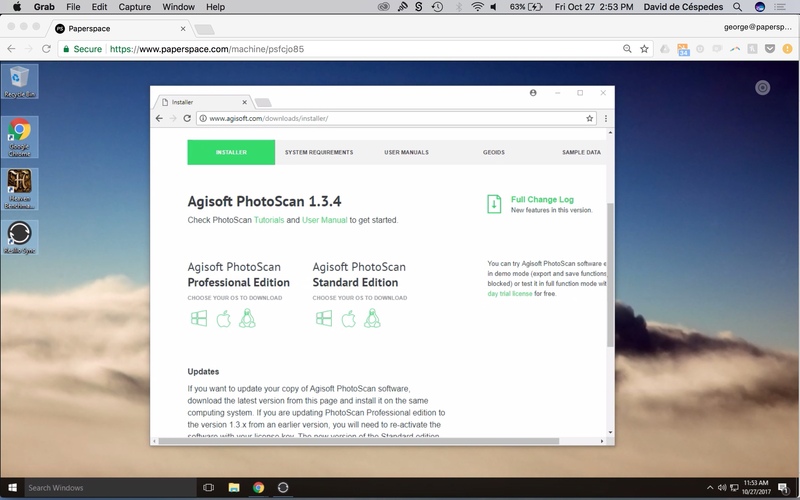 You can learn more about Agisoft Photoscan and best practices for image capture from their User Manual. For GPU Acceleration, refer to our post that includes benchmarks on Paperspace hardware. 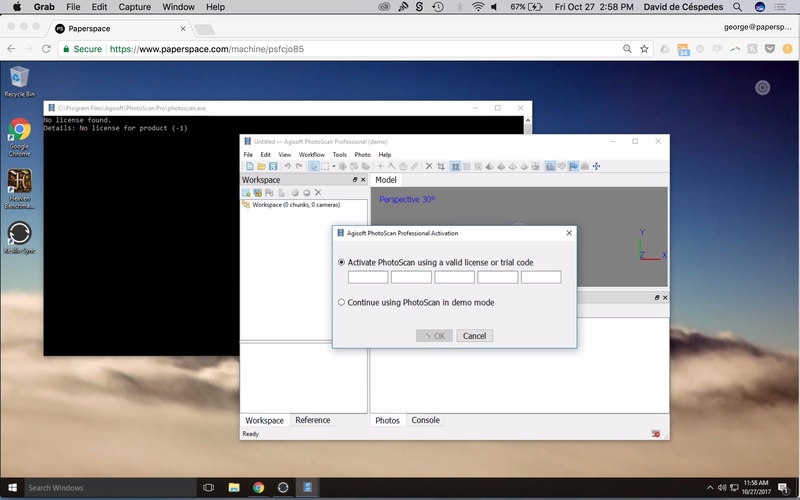 To build your own photogrammetry studio with Photoscan, sign up here.